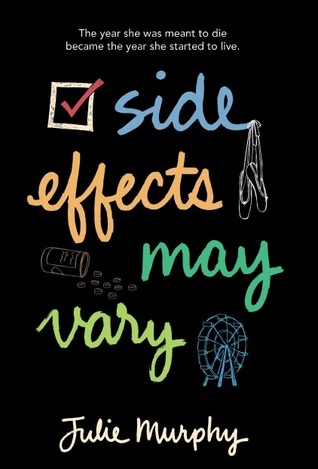 I have been a fan of Julie Murphy ever since I got an advanced copy of Side Effects May Vary. Julie's characters have the confidence I wish I had in high school, yet they are deeply flawed, which makes it so easy to identify with her characters. I knew as soon as I read the synopsis of Dumplin' that this was a book that I needed to own, and I knew before I even read the first line that this book was going to be one that would wreck me just because I knew that I was going to see myself in the character, Willowdean. I received this book free from the publisher in exchange for an honest review. This does not affect my opinion of the book or the content of my review. Self-proclaimed fat girl Willowdean Dickson (dubbed "Dumplin'" by her former beauty queen mom) has always been at home in her own skin. Her thoughts on having the ultimate bikini body? Put a bikini on your body. With her all-American beauty best friend, Ellen, by her side, things have always worked... until Will takes a job at Harpy's, the local fast-food joint. There she meets Private School Bo, a hot former jock. Will isn't surprised to find herself attracted to Bo. But she is surprised when he seems to like her back. Instead of finding new heights of self-assurance in her relationship with Bo, Will starts to doubt herself. So she sets out to take back her confidence by doing the most horrifying thing she can imagine: entering the Miss Clover City beauty pageants--along with several other unlikely candidates--to show the world that she deserves to be up there as much as any twiggy girl does. Along the way, she'll shock the hell out of Clover City--and maybe herself most of all.